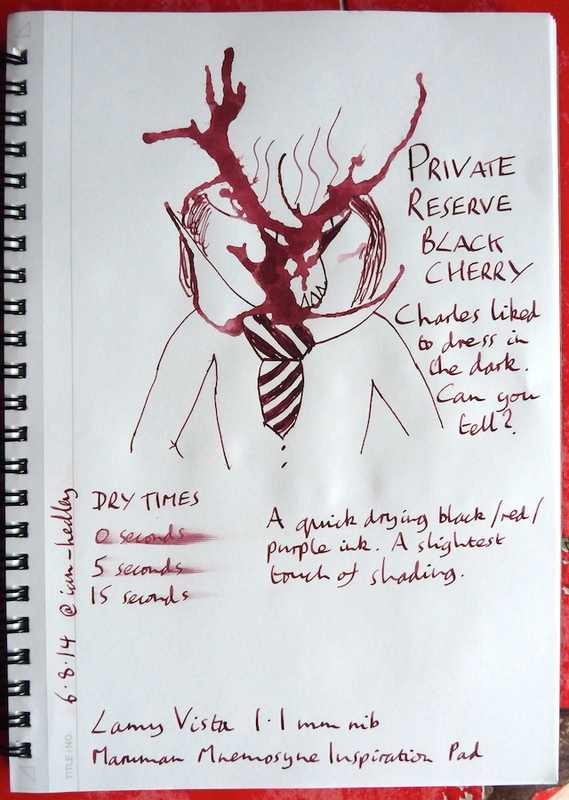 Private Reserve Black Cherry ink review – Pens! Paper! Pencils! This is a great reddish purplish black with a little shading and good dry times. 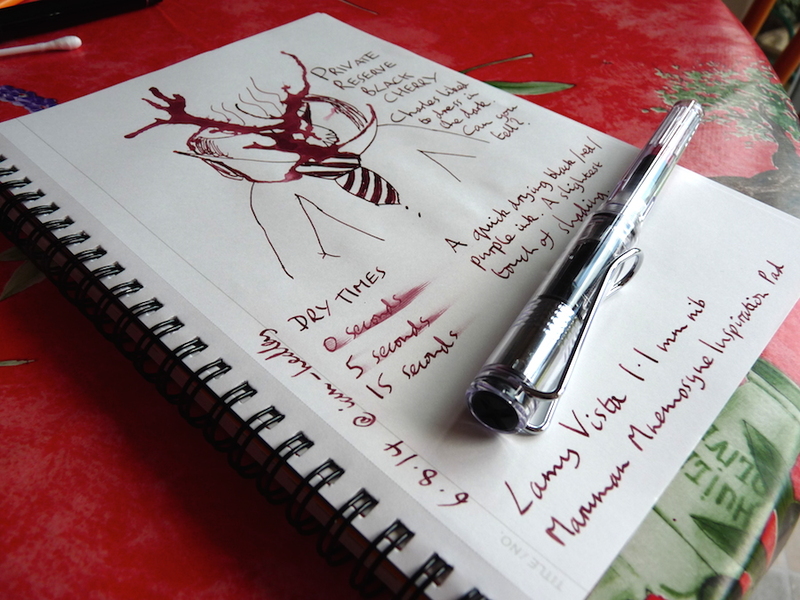 Yet again, I used up all the sample in the pen and so couldn’t do my usual bits and pieces for the review. Just the name of this makes me want to taste it… great Inkling! Very nice. Resembles Diamine Red Dragon a bit though it’s not as saturated.